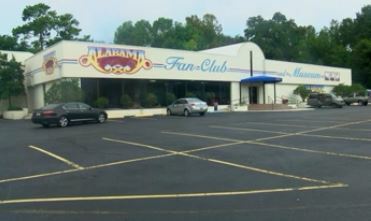 The ALABAMA Fan Club & Museum in Fort Payne will be making an exciting announcement soon. If you haven't been to visit the ALABAMA Fan Club & Museum in Fort Payne in some time, or maybe you've never been at all, they have a brand new look to show you very soon. The building was originally Rains-Shanks Chevrolet, which was purchased and restored by the group in the early 1980s. This is the first major renovation of the museum since the opening. The ALABAMA Fan Club manager, Mary Jones, said her first job was at the Rains-Shanks Chevrolet dealership in 1976, so she's seen the building take on new life before. "We opened here, actually in 1985, and then it's not been redone since, so we're getting some much needed repairs and an update, so we're real excited about it," said Jones. Before the renovation began, the Boys from Fort Payne sent many of their awards, pictures and personal memorabilia to Nashville's Country Music Hall of Fame last August. Those items will be returning to the Fan Club sometime next week. The newly renovated museum will feature a guitar shape layout. "Each member will have their own area. And this side will probably have their awards on it," said Jones. They expect the renovations to be complete in about a month with a grand opening date to be announced for late October or early November. ALABAMA has another exciting announcement to make. The group will release a brand new Christmas album, the first in over two decades. The album is titled, "American Christmas" and drops Oct. 6. You can expect some new songs and a few classics on the album. The most requested is "Christmas in Dixie." Copyright 1017 WAFF. All rights reserved.